Awaited Cover Flat. . . 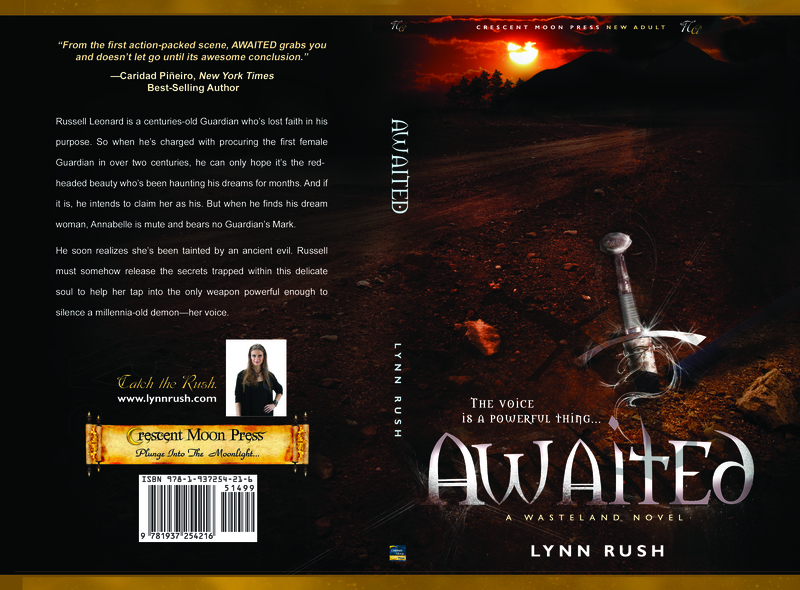 The full #Awaited cover flat is here! And thank you to Crescent Moon Press for putting together such a great cover! I can’t wait for MAY to come when Awaited releases! CLICK HERE to add Awaited to your to-read list. SHORT STORY, Prelude to Darkness (Wasteland .5) will release in May. It’s the story of David’s mother and how she went about selling his soul. What’s going on in your world, I’d love to hear about it! This entry was posted in Uncategorized and tagged Awaited, Cover Art, Crescent Moon Press, Lynn Rush, New Adult, Prelude to Darkness. 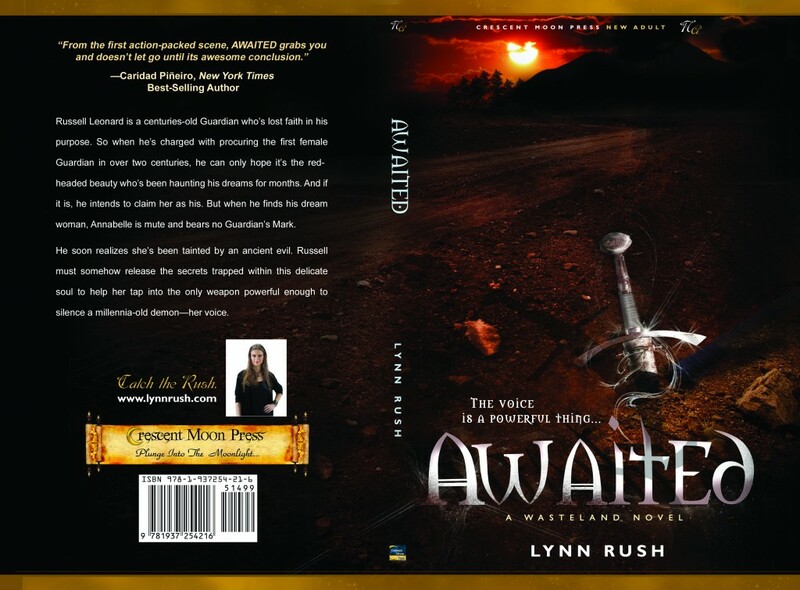 Awaited by Lynn Rush. Bookmark the permalink. That’s a gorgeous cover, Lynn!